This tutorial is going to show you how to update drivers automatically on your computer. First of all you are going to need to download a program that will make this possible. Go to Google search and type in “Slimdrivers”. On the page that loads click the top link (or whichever one takes you to the Cnet download page). You will be taken to a page where you need to click the “Download Now” button. A new page will load and the setup file will start to download, when this has finished click on the file. 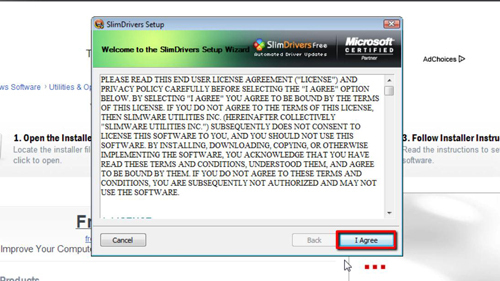 The installer will run and you need to click “I Agree”. The program install will start to download some files and install them to your computer – you simply need to wait for this to complete. When it has finished click the “Finish” button. The program will launch and you will also see that an icon has been added to your notifications area. In the program click “Start Scan”, the scan will start and you simply need to wait for it to complete. 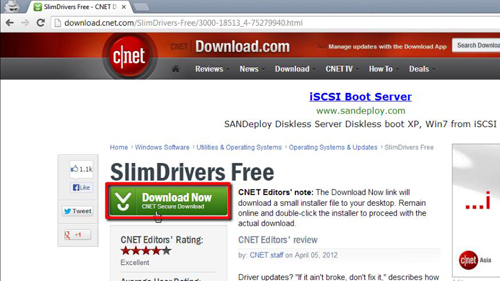 You are then able to download updates for drivers that it has identified. Here we won’t update but you can choose to update whichever ones you want. 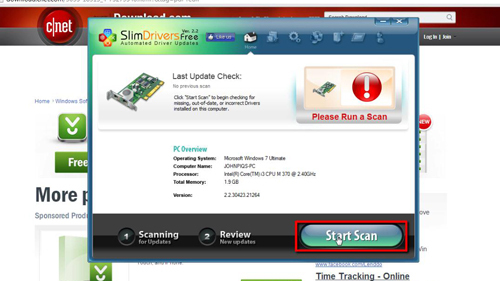 Now that you have SlimDrivers installed your computer will be monitoring for update drivers automatically and you can easily use this program to install them.